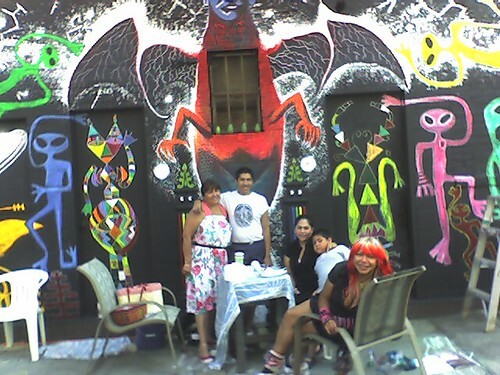 Murals on E 2nd St. | Allied Productions, Inc.
Artists Carlo Quispe and Laura Campos painted their mural, “Milky Way Dragon,” on the wall of 245 E 2nd St., right next door to Le Petit Versailles Garden. Here’s a couple photos of the artists after finishing their new work. It was recently painted over but new murals will take its place!